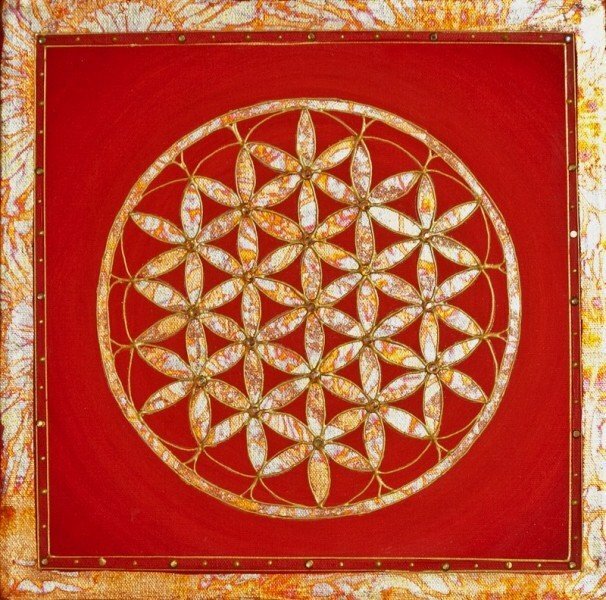 Tangerine Flower of Life | Artwork – Store – Tammi B. Ph.D.
12" x 12" tangerine, gold leaf and Swarovski crystal mandala. The flower of life is considered to be a symbol of sacred geometry and is said to contain information from the Akashic Records. It is a visual expression of the interconnectedness of life and all beings. The intention of the gold and orange color opens us more fully to sensuality and creativity.